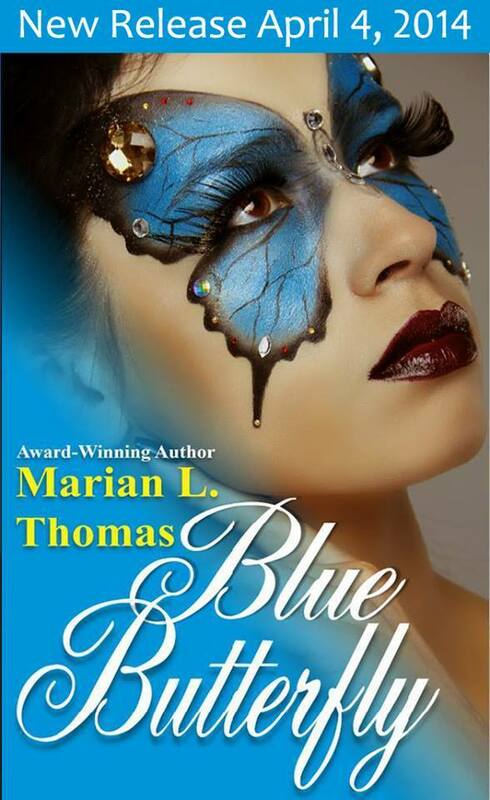 ATLANTA - March 6, 2014 - PRLog -- Award-winning author and motivational speaker Marian L. Thomas, will conduct a book signing for her new release, Blue Butterfly' on March 14, 2014 at the Unity Festival in Gulfport, Mississippi. The official release date for 'Blue Butterfly' is April 4, 2014, so attendees of the festival will have a rare chance to get an autographed copy of this highly anticipated book, before its official release. The author will also have copies of 'Aqua Blue' available for signing. 'Blue Butterfly' is the story of Precious Blue Johnson, a young woman who is set to become the first black ballerina. Although a fictional story, 'Blue Butterfly' raises the tough question: Is the world ready for a black ballerina? "Often when the word ballerina is heard, our mind doesn't envision imagines of black women as ballerinas. It is, however, encouraging to know that there have been five ballerinas (Raven Wilkinson, Lauren Anderson, Tai Jimenez, Aesha Ash, and Misty Copeland). that have created a strong niche for themselves and made a respectable mark in ballet. Their determination was my inspiration for the book," stated the author. The Unity Festival will begin at 10:00. It will be held at 1903 31st Ave, Gulfport, MS, 39501. All are invited to attend. Media coverage of this event is requested. Marian is the author of four dramatic and engaging books. Her books have been seen on national television stations such as: OWN, A&E Network, Ovation Network and featured in print magazines and newspapers. Her titles, 'My Father’s Colors' and 'Strings of Color' both received the USA Best Book Finalist Award. Her books are laced with thought-provoking themes of friendship, betrayal, family strife, and forgiveness. Those who have read ‘Aqua Blue’ or ‘Color Me Jazzmyne’ know that the author writes about strong female characters who are willing to overcome obstacles to achieve their dreams.